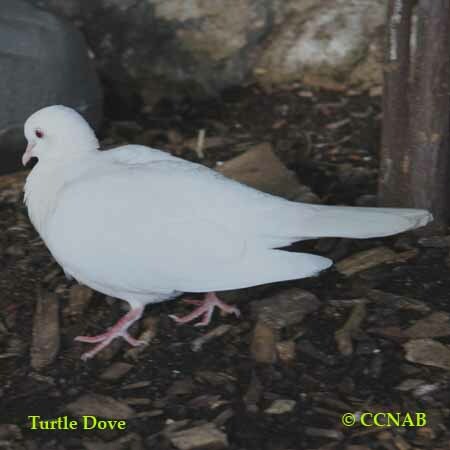 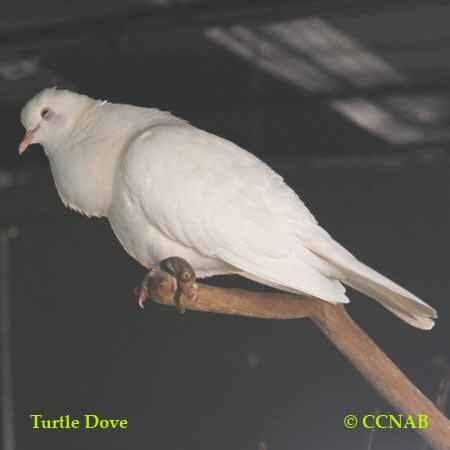 The White Turtle-Dove is a domesticated hybrid of the African Turtle-Dove. 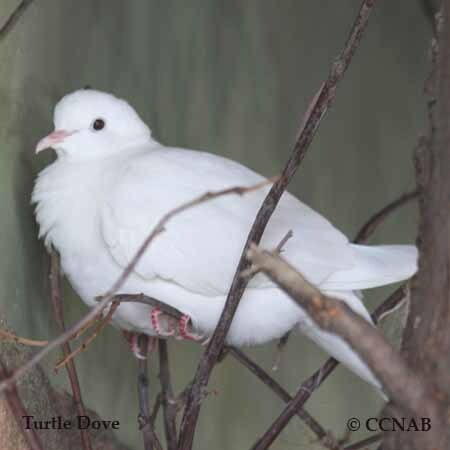 They are also known as the "Magician's Dove". 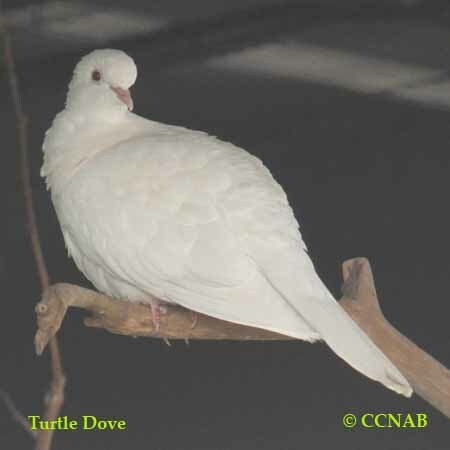 Where one will see a perofrmer using them as stage props. 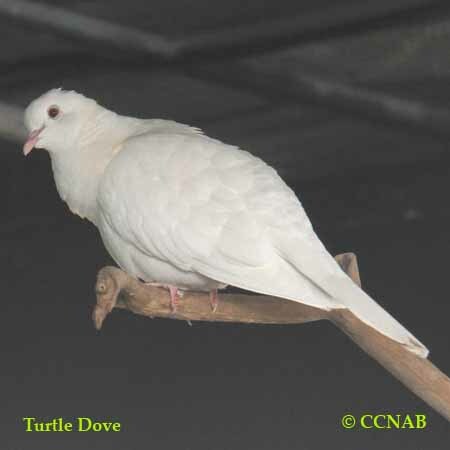 These white doves are often seen being released into the air at ceremonies, during celebrations.